Our wide range of Machining Services includes Precision Components Machining, Machining on VMC Equipped with IV Axis and Machining On CNC Turning Centers. These are made from graded raw material to ensure optimum quality and durability. Inspected by our team of quality auditors, these Machining are available in different customized forms. Our clients can avail them at competitive prices. 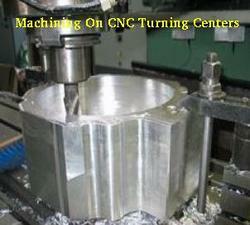 We Undertake Machining Jobs on Vertical Machining Center Equipped with Fourth Axis. 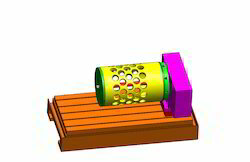 Hydraulics is fed through the indexer via rotating coupling. The High column VMC with a 600 MM Fourth Axis Rotary table enables Millennium to machine a wide range of components from Valve bodies to small precision parts involving multi side machining. The High column VMC with a 600 MM Fourth Axis Rotary table enables Millennium to machine a wide range of components from Valve bodies to small precision parts involving multi side machining. Looking for Industrial Machining Services ?